Gaynor’s path into the disaster management field, and direct engagement as an ASEAN ERAT member was formed through more than ten years of work in the development sector. Her first experience directly with disaster management in the ASEAN context came when she joined Oxfam on a programme being implemented within the AADMER partnership. She tells the AHA Centre, “I was just volunteering with a local organisation, when a contact recommended I apply for the role”. 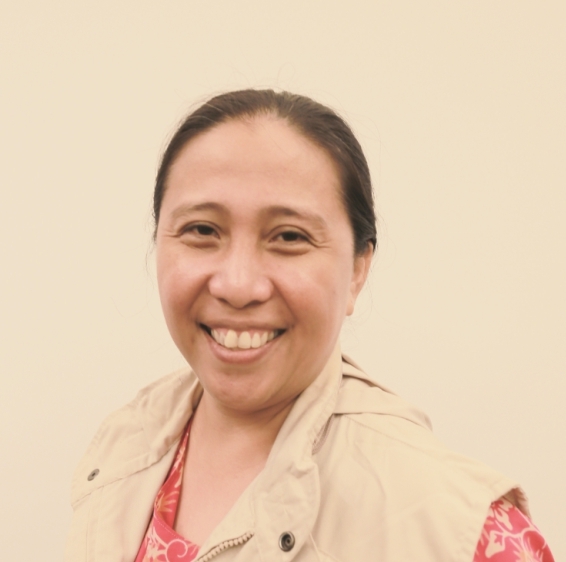 Having gained some disaster-related experience in her time undertaking gender audits of disaster responses, Gaynor first heard of the AHA Centre through Oxfam’s support to the ASEAN Secretariat developing this new disaster management institution in 2011. She then acted as an observer of the 2013 ASEAN-ERAT training course, managing the simulation exercises, before strengthening her involvement by undertaking the role of facilitator during a 2014 ASEAN-ERAT refresher training. It is this training element that forms a large part of Gaynor’s passion for the work. “Most of my work with NGOs involved training, so that is what I really enjoy most” she states. As an ASEAN-ERAT member, Gaynor has experienced one deployment. It was this deployment, however, that influenced significant change in the landscape and format of the ASEAN-ERAT course. The deployment was to her home nation of the Philippines, and the assignment was as an initial responder to the devastating Typhoon Haiyan that struck Tacloban in late 2013. Gaynor’s arrival into the affected area was an experience that would stay with her. “Usually, even after a disaster, there are still markets, and people are still going about their lives – but Haiyan was different. Everything was destroyed. There were no markets, no shops open – no-one cared about your money” she recalls. “When we arrived in Tacloban, our only water was a half-bottle left over from our lunch”. Local knowledge and connections formed key elements of Gaynor’s and the other ASEAN-ERAT members’ ability to gain access to the disaster zone. Without their local Filipino contacts, gaining vehicles and transportation would have been almost impossible. This stands as one of Gaynor’s tips to first responders – “take advantage of local connections and personal contacts”.